Blogs have a key role in digital marketing. To attract new users and increase traffic to your website, you need to be active by updating it with new blogs. They also give you something relevant and valuable to say on social media for your followers to see. But despite the positive effective of blogging, many companies are still hesitant to make the jump. Is this because the companies don’t believe blogs are important or that they’re too lazy to keep their blog updated? Our guess is the latter. Now, that percentage almost doubled, which shows that businesses are catching on. But based on what we said about blogging before, wouldn’t you guess that practically every Fortune 500 company invests in blogging? These companies have the ability to use their resources efficiently and post a blog every day. Even with all their resources, the majority of Fortune 500 companies still don’t have current blogs because they don’t want to make the commitment. It doesn’t matter how many resources they have if they don’t can’t live up to the challenge of writing great content every day. This bodes well for small businesses that don’t have as many resources as Fortune 500 companies, but exceed them in terms of commitment. Even startups can keep an active blog if they have a team willing to write frequently enough. 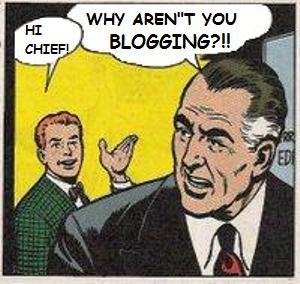 The real question is that, since you know and understand the benefits of blogging, why wouldn’t you be up to the task? If you can’t commit to writing a few times per week, then how dedicated to your business are you? This article was syndicated from Business 2 Community: Digital Marketing: Why Don’t Fortune 500 Companies Blog?